Whether you are looking for 18 inch, American Girl doll clothes patterns or Cabbage Patch patterns, at Rosie’s Doll Clothes Patterns we have a fantastic range of doll clothes patterns to make sure your doll is ready for any occasion. We also have hints and tips on resizing our patterns so that they fit a wide range of other dolls including Our Generation, Wellie Wishers, Baby Born and Bitty Twin dolls. Browse our range of American Girl clothes patterns for standard 18 inch doll clothes for all seasons or take a look at our Cabbage Patch doll patterns range and get your dolls looking super stylish. These doll clothes patterns fit American Girl, Australian Girl, Maplelea Girl, Sophia’s Heritage, Our Generation, Journey Girl and others. These doll clothes patterns fit 18 ½ inch Cabbage Patch Kids dolls and other dolls with similar measurements. When you purchase any combination of FIVE or more products you get 20% off. 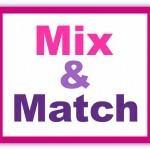 This means you can select a combination of 5 or more patterns in any size OR you can purchase a mix of patterns and online courses to save 20%. Just so long as you have a total of 5 or more products in your shopping cart the total will automatically be reduced by 20%. With EVERY doll clothes patterns you get… LIFETIME access to pattern pieces + Instructions + Video tutorials!! LIFETIME access to my revolutionary step-by-step instructional videos so there is no way you can go wrong! The PDF pattern pieces and instructions that you download and print. 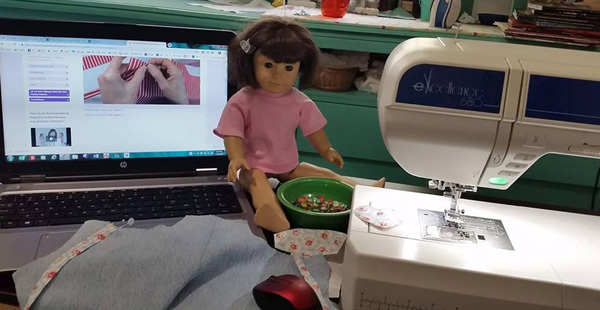 “Sew” you’d like to sell doll clothes made from my patterns – No problems! You are most welcome to sell doll clothes made using my patterns on a small-scale e.g. home sewers selling on Etsy or other sites. Giving Rosie’s Doll Clothes Patterns credit for the pattern and providing a link back to my website www.rosiesdollclothespatterns.com would be really appreciated. If you are selling garments made from my patterns at craft markets or fairs, please let people know how much you enjoyed using a pattern from Rosie’s Doll Clothes Patterns.